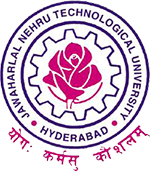 JNTUH B.Pharmacy 1-2 Sem (R17, R16) Supply Exam Time Tables Jan 2019, jntu Hyderabad 1-2 sem end examination time tables 2019. JNTU Hyderabad has announced B.Pharmacy 1-2 Semester R17, R16 Supply Exams Time Tables December 2018 / January 2019 at jntuh official website. Sir we want to know about the 1-2supply.. Time table.. .Thanking you. . If u get any infmtn plzz let me knw …..